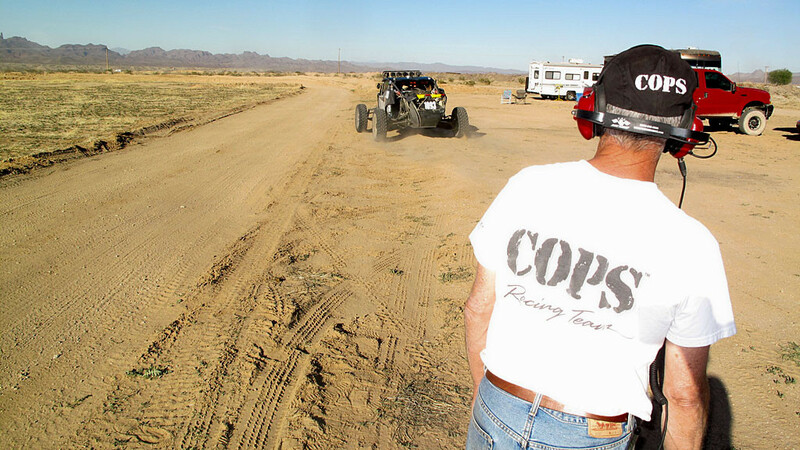 COPS Racing at the 2012, Best in the Desert, Parker 400. 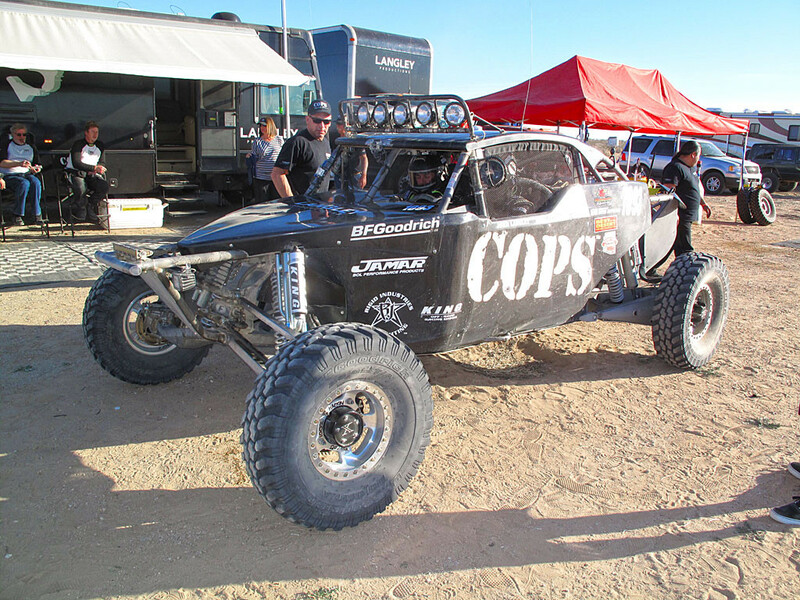 The course consisted of four, 100-mile laps — Zak Langley would drive the COPS Class 1 car the first two laps of the race, then Dan Martin would get in half-way to finish the race. 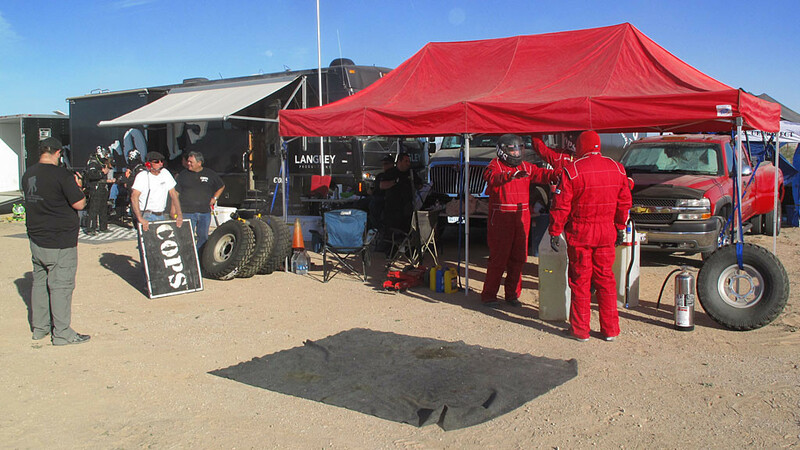 COPS had one pit at the main pit area, plus three remote pits. 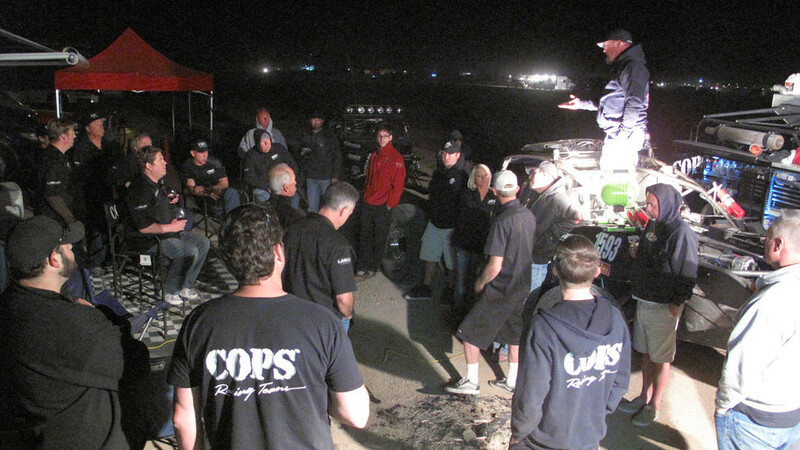 Friday night crew meeting at the COPS’ main pit. 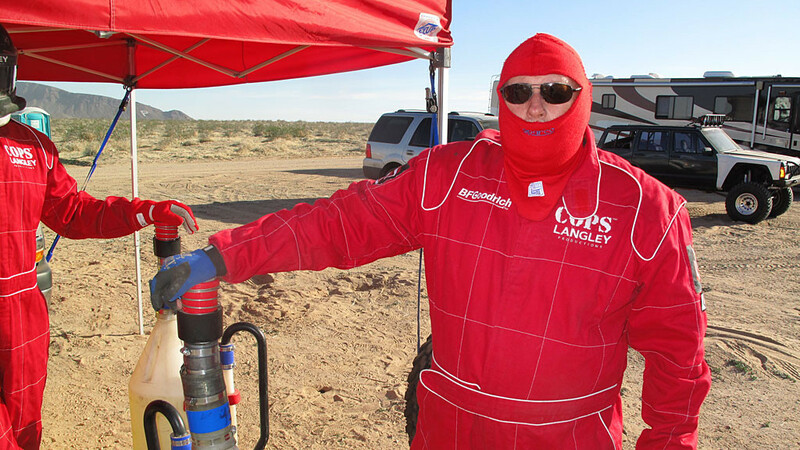 Front and center, it’s Mike Rafter, premier COPS Fueler. The main pit preparing for the inbound Class 1. 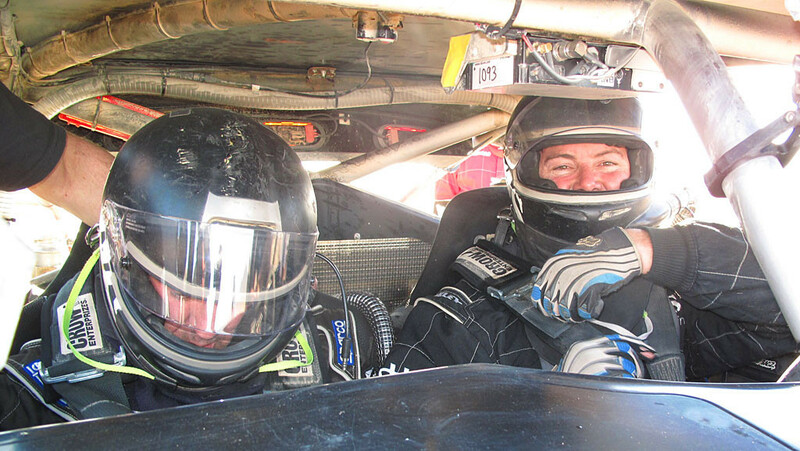 Zak Langley would step out of the car after two laps and Dan Martin would replace him for the final two laps. Bryan Collins was in attendance shooting video for Langley Productions. 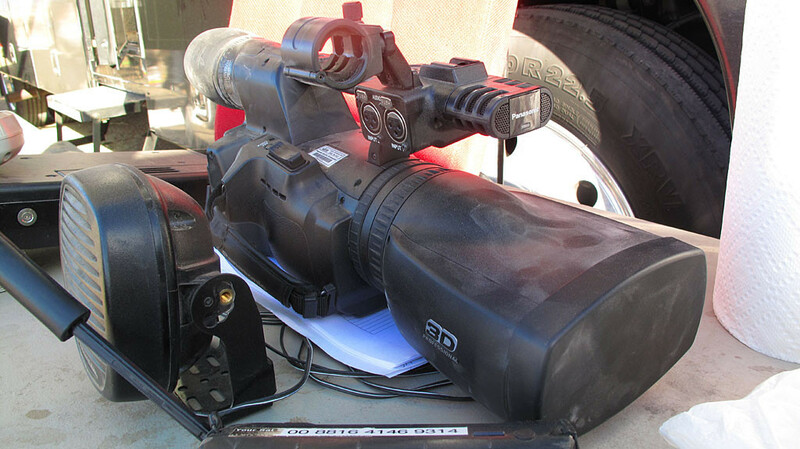 High-end cameras perform best in the dust and heat of desert racing. 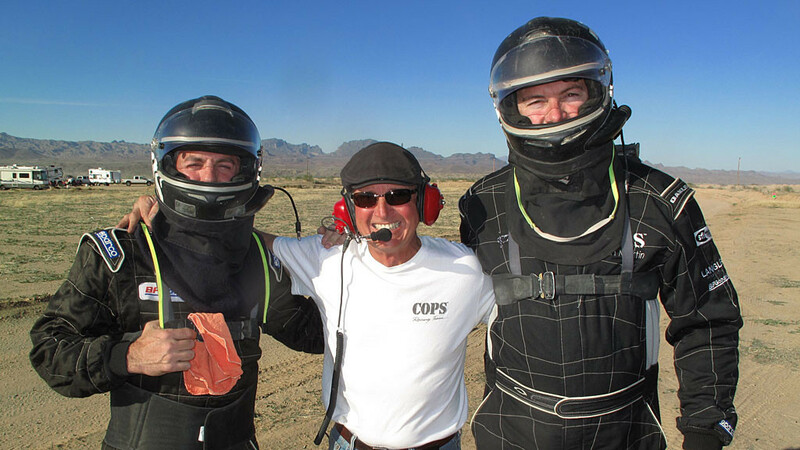 Before the Class 1 car arrived, Joe Lombardo and Dan Martin posed for a photo with Joe Taylor, COPS Crew Chief. Zak bringing the Class 1 home. 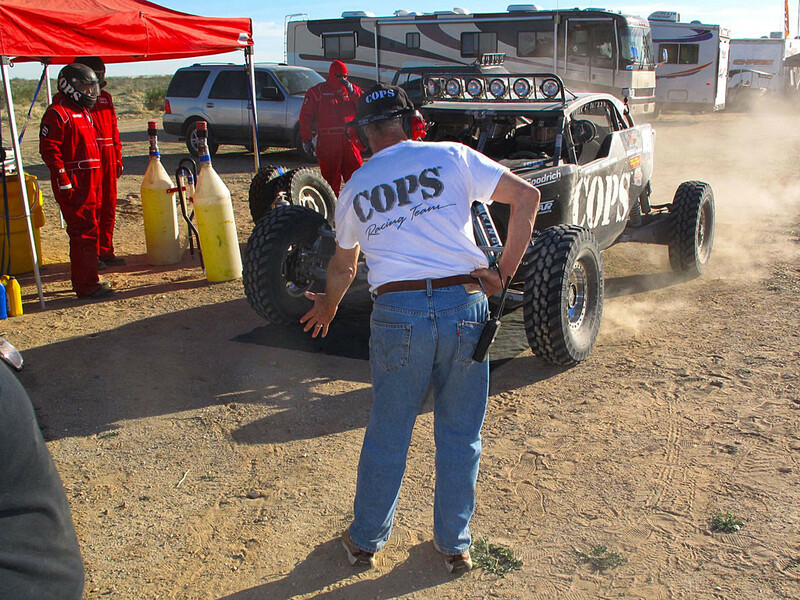 He will stop when his front left tire touches Joe’s hand, spotting the car for fueling and driver change. 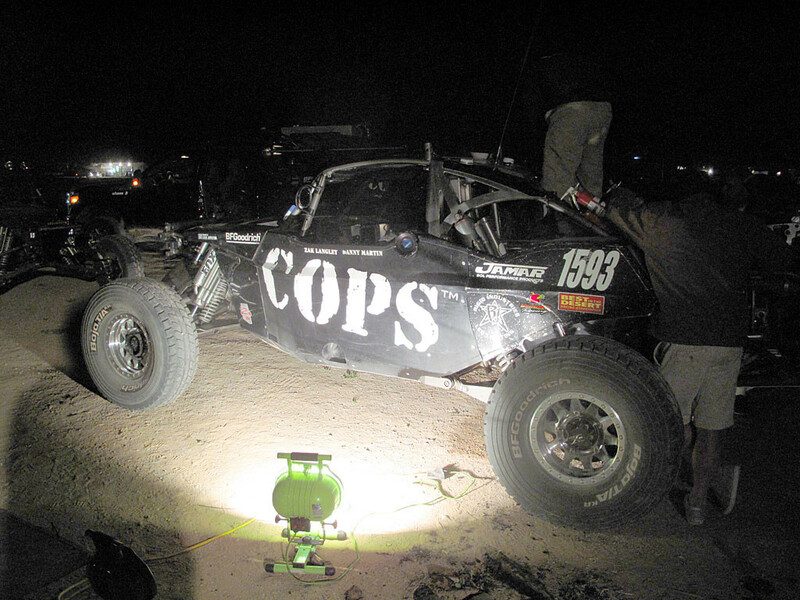 The car is fueled, drivers are changed and minor issues are addressed.